Some desserts make their usual appearance or have a special association to the festive Christmas season based on old cultures and traditions. It is hard, almost impossible to envision a Christmas season, without these desserts as they are so deeply rooted in local and family traditions. In this article, we explore the culture, tradition and history of some of the classic traditional Christmas desserts from around the world. Bebinka is a multilayered dessert prepared out of coconut milk , sugar and egg yolks at Christmas in Goa, a former Portuguese colony, but now a state in western India, known for its beaches and a unique mix of Indian and Portuguese cultures and architecture. Bebinka reflects the diverse influence of Portuguese and Indian cultures on Goan cuisine which prior to 1961 was a Portuguese colony, after Portuguese explorer and navigator Vasco da Gama discovered the direct sea route from Europe to India in 1498. Making a bebinka is a long and slow process as each layer is added when the one below it has turned golden and puffed, but not too dark. The number of bebinka layers typically vary between 7 to 16, depending upon the time a family is willing to invest in its preparation. The ingredients include plain flour, sugar, nutmeg, egg yolk, coconut milk and ghee (clarified butter) which holds the layers together. 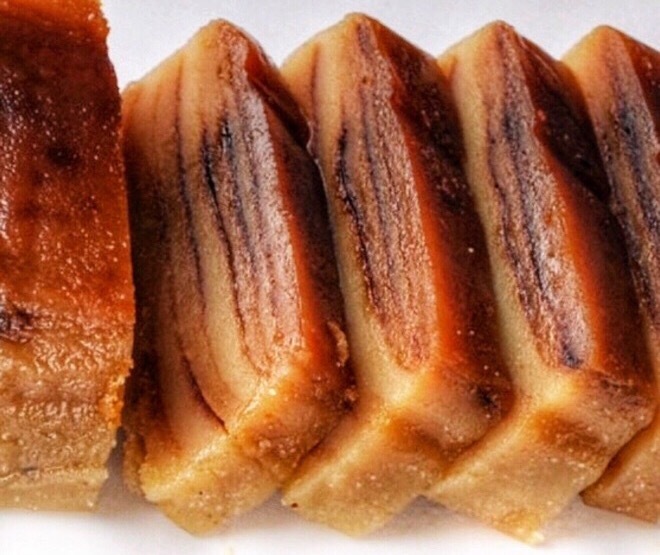 Bebinka is served as a dessert and as a late afternoon snack on Christmas day. Christmas pudding also known as plum pudding is traditionally served as part of the Christmas dinner in the United Kingdom, Ireland and in other countries like Australia, Canada, New Zealand and South Africa where it has been brought by British emigrants. The pudding has its origins in medieval England and many households have their own recipe for Christmas pudding, some handed down through families for generations. The current form of the Christmas pudding is a Victorian dish made of dried fruits such as sultanas, raisins or currants soaked in brandy overnight and then held together by egg and suet, mixed with sugar, breadcrumbs and flavored with spices such as cinnamon, nutmeg, cloves, and ginger. Despite the name 'plum pudding', the pudding contains no actual plums due to the pre-Victorian use of the word 'plums' as a term for raisins. The Victorians shaped their puddings into a spherical shape and boiled them in a muslin cloth. Stir-up Sunday is a centuries-old annual tradition where home cooks spend the last Sunday before Advent preparing their Christmas pudding, in order to allow it at least a month to mature before being served on Christmas Day. Traditionally everyone in the household, or at least every child, gives the mixture a stir and makes a wish during its preparation. It is also an old tradition and a sign of prosperity in the coming year to include small silver coins in the pudding mixture, which could be kept by the person whose serving included them. 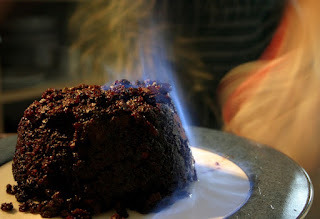 At Christmas, when the pudding is ready to be served, it is traditionally doused in brandy and set alight, before it is ceremoniously brought to the table and greeted with a round of applause. The sweet-and-spicy gingerbread cookies are a popular Christmas baking tradition in many different parts of the world. 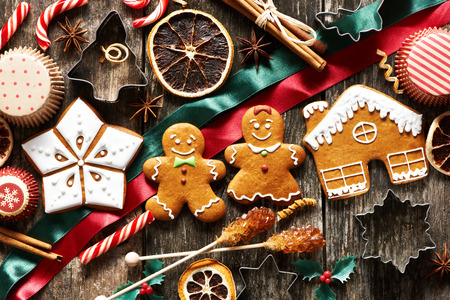 Gingerbread cookies are traditionally made of dough, a sweetener such as honey, sugar or molasses and spices such as ginger, cloves and cardamom then cut and baked into the appropriate shapes. The tradition of baking gingerbread cookies and different decorations such as the gingerbread house has become a family and local community tradition during the festive Christmas season in many parts of Europe and also the United States. The tradition of creating gingerbread houses, was inspired by the publishing of Hansel and Gretel, a fairy tale of German origin by the Brothers Grimm in 1812. In Germany, Nuremberg city in northern Bavaria is particularly famous for its traditional Christmas cookies known as Lebkuchen. 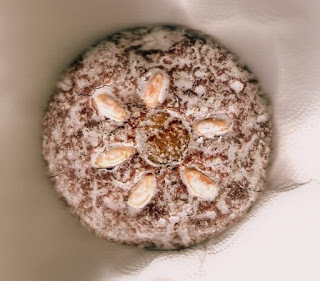 Lebkuchen can vary from spicy to sweet and come in a variety of shapes with round being the most common. The ingredients usually include honey, spices such as aniseed, coriander, cloves, ginger, cardamom, and allspice, nuts including almonds, hazelnuts, and walnuts. Gingerbread cookies are one of the most iconic Christmas treats and its preparation is a wonderful and deep-rooted family tradition that involves the young and the old in numerous countries around the world. 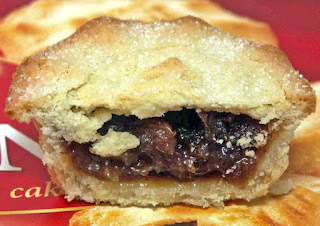 A mince pie is a sweet pie of British origin, filled with a mixture of dried fruits and spices that is traditionally served during the Christmas season in the United Kingdom. The history of mince pies goes back to the 13th century when they were originally filled with meat, typically mutton, rather than a dried fruit mix as they are today. The origin of the mince pies, traces its roots to Middle Eastern methods of cooking, which combined meats, fruits and spices in their dishes. One of the sources of these recipes to Europe were the returning European crusaders in the 13th century. Early pies were oblong shaped and much larger than those consumed today. Over a period of time, besides becoming smaller, the recipe also became sweeter. On Christmas Eve, children in the UK often leave out mince pies for Santa, and a carrot for the reindeer. Nut roll is a pastry made of a sweet yeast dough, rolled out very thin, traditionally filled with ground walnuts or poppy seeds and a sweetener like honey, then rolled up into a log shape. Nut rolls are a popular dessert at Christmas in many Central European countries and also in the United States. Though nut roll is a generic name for this kind of pastry in the United States, they are known by more specific names in other countries. 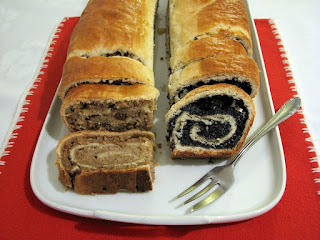 In Hungary, they are called beigli, makowiec in Poland, potica in Slovenia, povitica in Croatia. They are also referred to as Poppy seed roll or Walnut roll based on the filling. Nut roll is made by rolling flat a sweet yeast dough and then spreading the filling of ground poppy seeds or walnuts on it. The filled dough is rolled up, in the shape of a log and then baked. Nut rolls are an essential part of Christmas celebrations in many Central European countries and also in the United States where they were introduced by Central European immigrants and widely adopted by other ethnic groups in the region. 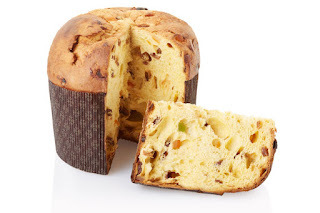 Panettone is an Italian sweet dome-shaped bread loaf made of flour, yeast, candied fruits and raisins, usually prepared and enjoyed for Christmas and New Year. 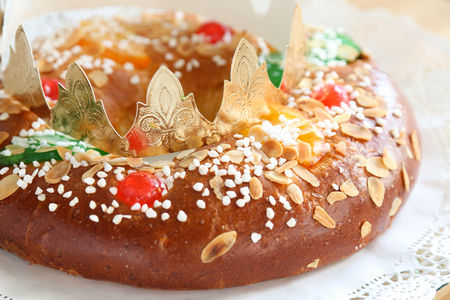 Though the origin of Panettone is attributed to the Italian city of Milan in the Middle Ages, the tradition of making this sweet bread during the Christmas season can also be found in other parts of Europe and South America. The basic origins of the dessert go back to the Roman Empire, when ancient Romans sweetened a type of leavened cake with honey. Panettone is made with natural yeast and takes about 72 hours to rise. There are different variations of the recipe, but typically the bread contains candied orange, citron, and lemon zest, as well as raisins. The word 'panettone' derives from the Italian word 'panetto', a small loaf cake. The augmentative Italian suffix "'-one' changes the meaning to 'large cake'. Panettone is typically served with sweet hot beverages or a sweet wine, such as Moscato d'Asti. In Italy, it is traditionally served after the Christmas meal or on the feast of Santo Stefano, celebrated on December 26th, besides on New Year’s Eve and New Year’s Day. This sweet bread can also be found in South and North American countries due to the Italian immigrants, and it is typically served during the holiday season or on Christmas with hot cocoa or liquor. Pavlova is a meringue-based dessert with a crisp crust, layered with whipped cream and fresh fruit that is served at Christmas in Australia and New Zealand. This dessert which is also very popular during the summer is believed to have been created in honor of Russian ballerina Anna Pavlovna either during or after one of her tours to Australia and New Zealand in the 1920s. Anna Pavlova was considered the greatest ballerina of her time. The nationality of the Pavlova creator has been a source of argument between the two nations for many years, though recent research by food historians have traced its roots to tortes that were previously made in Europe, and later in America. Pavlova which is made by beating egg whites before folding in caster sugar, cornstarch and vinegar and then slow-baking the mixture, similar to meringue. The ingredients and its preparation gives it a crisp and crunchy outer shell, and a soft, moist marshmallow-like center. Pavlova is traditionally decorated with a topping of whipped cream and fresh fruit such as kiwifruit, passionfruit, raspberries and strawberries. It is usually refrigerated before serving due to Christmas being celebrated during the summer in the southern hemisphere. 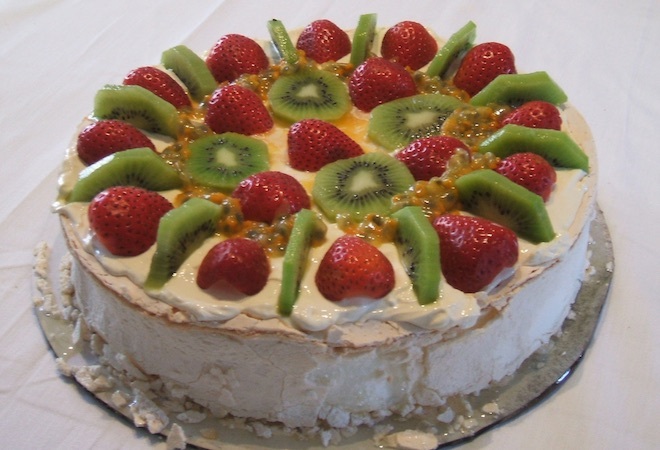 Pavlova is served on Christmas day in Australia and New Zealand. Rabanada is a French Toast which usually makes an appearance on the Brazilian breakfast table around Christmas. Rabanada is made with diagonal slices of French bread soaked in a mixture of milk, sugar and eggs, deep fried and then sprinkled with sugar and cinnamon. The result is a delicious French toast that is creamy and custardy on the inside and crispy on the outside. Rabanada has been influenced by similar recipes found in Spain and Portugal that found its ways to Brazil, as it being a former Portuguese colony. 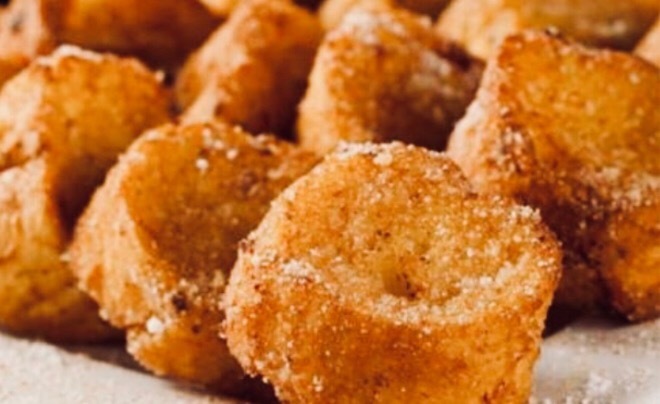 In Spain, it is called torrija, commonly served during Semana Santa (Holy Week). In Spain and Portugal, milk or wine may be used to soak the bread but in Brazil the bread is soaked in either plain milk or a mixture usually made from milk, sugar, and vanilla. In Brazil, Rabanada is typically served at breakfast, as a dessert or a late afternoon snack with coffee during the Christmas season. Turrón is a candy made of almonds and honey traditionally served at Christmas in Spain as well as in several former Spanish colonies, particularly in Latin America. Turrón has been made at least since the 15th century in the town of Xixona (Valencian) or Jijona in Valencia on the eastern coast of Spain, which is known for its extensive almond farming that has existed since the Moorish farmers originally cultivated the almond trees following the Islamic conquest of the Iberian peninsula. 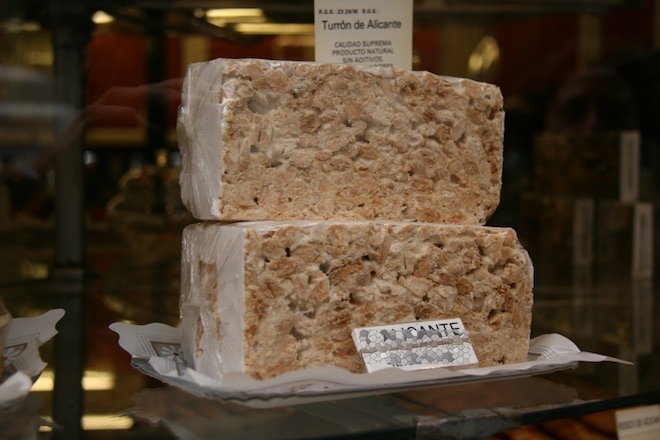 Though, there are several variations of Turrón, it is typically made of honey, sugar, and egg white, with toasted almonds or other nuts, and usually shaped into either a rectangular tablet or a round cake. The name itself derives from the the Latin verb torrere (to toast). In Italy, this sweet confection is known as torrone and is traditionally served in some parts of Italy, particularly in Abruzzo, Campania, Lombardy, Sicily and Sardinia at Christmas time. The Spanish turrón may be classified as Turrón de Alicante which is hard containing whole almonds and Turrón de Jijona which is soft with the almonds reduced to a paste. A Yule log is a traditional dessert served at Christmas especially in Belgium, Canada, France and several former French colonies. It refers to the log burned on a fireplace as a Christmas tradition in a number of countries in Europe, going far back as the 12 century. Yule log dessert is a light sponge cake, covered in chocolate or mocha buttercream textured to resemble bark. There are many different variations of the cake, some including ganache and icings flavored with espresso or liqueurs, or powdered sugar sprinkled to resemble snow, or more intricate decorations like branches, leaves, fresh berries, and mushrooms made of icing, meringue or marzipan. 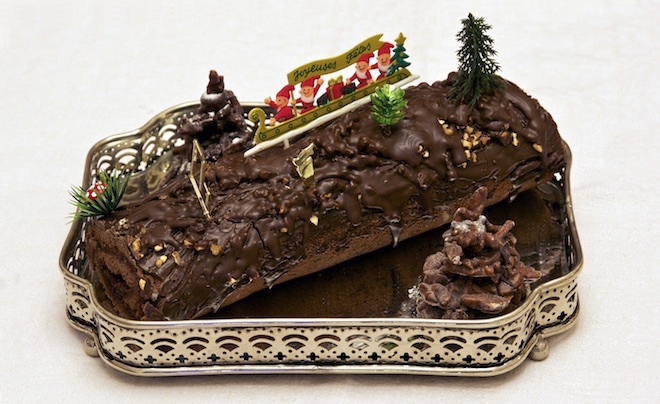 In France, the Yule log dessert is called 'bûche de Noël' which literally translates as 'Christmas log', referring to the traditional Yule log burned centuries past. Yule log cake is often served with one end cut off and set atop the cake, or protruding from its side to resemble a chopped off branch. It may be served at any time during the Christmas season, but traditionally served at the Christmas celebration that follows Mass on Christmas Eve.